Interactive Historical Map - What is it? 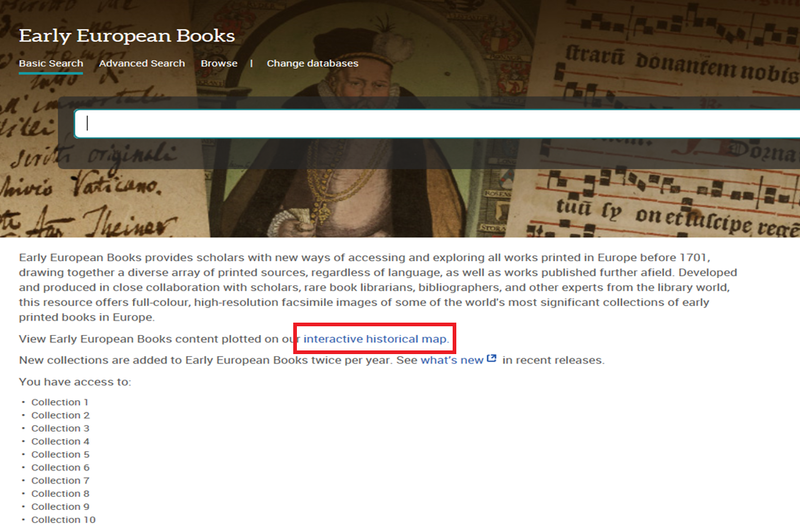 The outstanding digital collections that make up Early European Books can now also be analyzed visually with the new Interactive Historical Map. Newly enhanced metadata has extended search, retrieval and discovery capabilities to deliver an improved user experience for students, scholars, faculty and library staff alike. 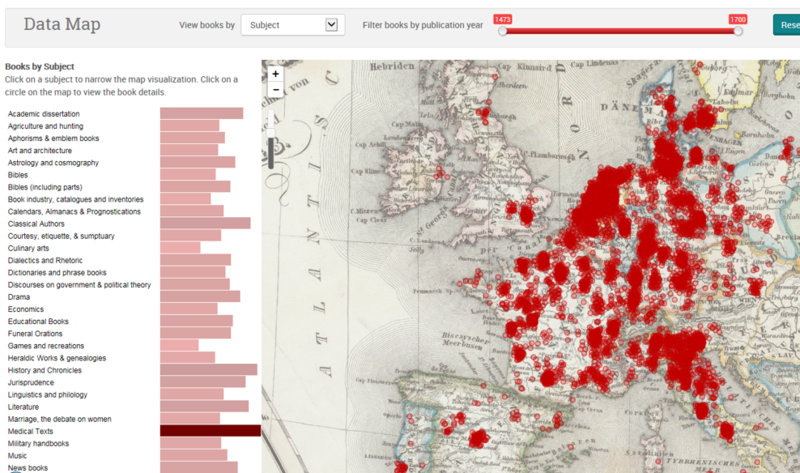 Through a combination of amending and fully standardizing metadata across Early European Books collections, it's now possible to demonstrate the Place of Publication of the majority of titles as pinpoints on a scalable map. Such functionality works to provide not just a novel means of searching the product but delivers the potential to visualize and interpret its contents in new and exciting ways. The data points represent single books located on the map based on their Place of Publication, can be selected based on Language, Source Library or USTC Subject Classification (in the picture) and may be further filtered by Date of Publication. Clicking on these pinpoints accesses title page thumbnail images beyond which the user may drill down further to the full record.